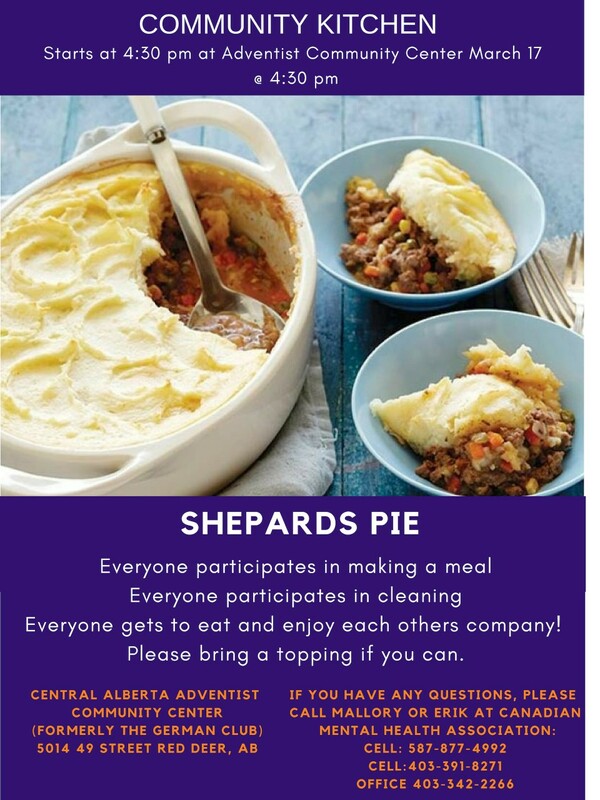 The Community Kitchen will take place on on Sunday, March 17 at 4:30 pm, upstairs at Central Alberta Adventist Community Services Centre in downtown Red Deer. There is no charge for the Community Kitchen meal. For more info, call 587-877-3678.or the main office at 403-342-2266.